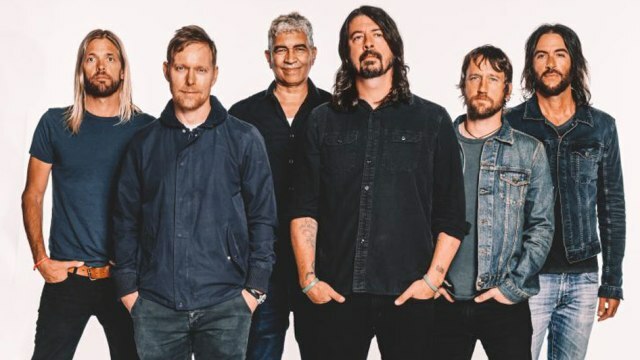 Foo Fighters recently announced their new album is called ‘Concrete And Gold’! The album was produced by Greg Kurstin (Adele, Sia, Pink) and mixed by Darrel Thorp (Beck, Radiohead), ‘Concrete And Gold’ is quite diverse – being described as ‘a mix of hard rock extremes and pop sensibilities’. You can pre-order ‘Concrete And Gold’ now on iTunes. Check out the tracklist below. We’ve already heard a couple new songs this year (“The Sky Is A Neighbourhood” and “La Dee Da”), so the idea of a new album makes sense. Foo Fighters headline Glastonbury 2017 this weekend. New Foo Fighters “Concrete And Gold” is out September 15th!